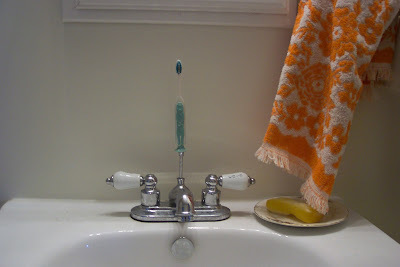 It seems that Ours is not the only household with suction-cup toothbrushes and the luxury of choice, regarding placement thereof, the said chopper-brushers. 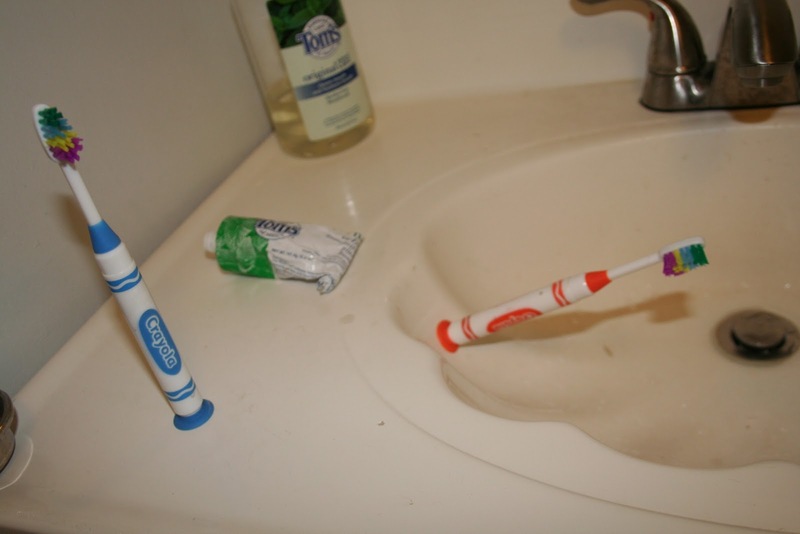 My sweet sister-in-law sent me this picture of her two boys' toothbrushes. And in her words: "Guess which is whose? Type A son is blue; Free Spirit is orange..."
I will sorely miss finding a little toothbrush in random places, when Strapping Young Lad is too old for such trivialties.